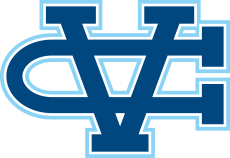 San Jose, CA - The Valley Christian Warriors competed in the CCS Trials held at San Jose City College, Saturday. Elena Bruckner, Ronna Stone and Athyia Iese all advance to the CCS Finals. Bruckner and Stone advance in the shot put and discus as the #1 and #2 seeds. Bruckner throwing 49-11.5 in the shot put, Stone 42-1. Athiya Iese advances in the girls shot put as the #4 seed, matching her personal best 39-0. Stone is the top seed in the discus throwing a personal best 158-10, Bruckner is the #2 seed with a 152-5 mark, respectably. The Warriors did not finish the day unscathed however. Lydia Sum entered the trials ranked #2 in CCS and had a substantial lead in her heat before clipping the sixth hurdle and unfortunatley was unable to recover. Sum finishes her career as a two-time WCAL Champion and #3 all-time in school history for the 100 hurdles. She graduates as the school record holder at the triple jump and is recognized on the all-time list for 300 hurdles, long jump and 4x100 relay. Ronika Stone, competing in her first CCS meet in the high jump, cleared the opening height 4-10 comfortably. The lull between heights took its toll however and after a long wait to move up to the next height the WCAL Champion missed at 5-0. Stone, a standout volleyball player that has verbally committed to the University of Oregon is in her first year of the event. She set the school record of 5-5 earlier this season. Bekah Bruckner had a tough draw as she would need to hit a personal best just to make the opening height for the high jump at the trials. It was a near miss on the third jump and an end to an amazing career for the senior. Bruckner will compete next season for Westmont College as a heptathlete. She leaves a mark on the team's all-time list in a range of events from the hurdles to the jumps. Picking up the high jump in the last week of the season she impressively finished third in the WCAL Finals with a mark of 4-8. 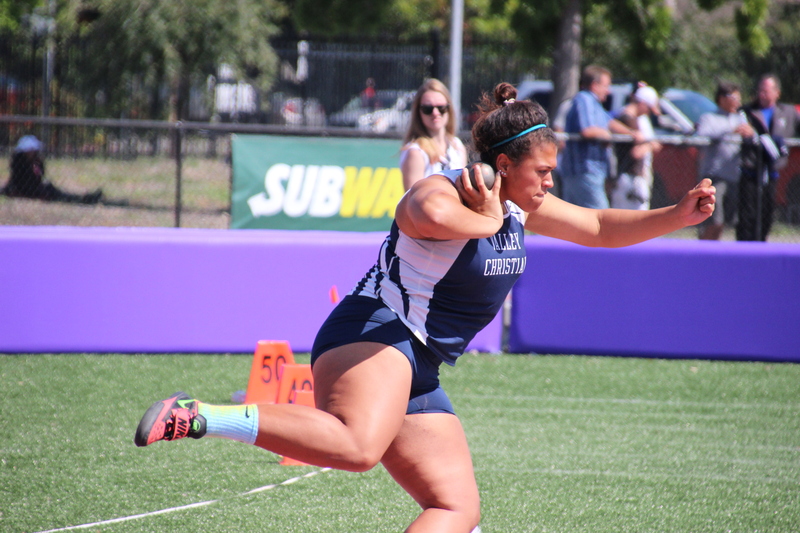 She also impressively threw the shot put and was a top 800 meter runner this season. Bruckner also jumped 15-3 in the long jump this season as well. Elaine Ma closes her season finishing 20th in the long jump with a mark of 15-3.5, respectably. Ma graduates #3 all-time for the Warriors with a personal best 17-8. She finished runner-up in last week's WCAL Championship with a mark of 16-3.5. Ma has been outstanding in the field events also earning recognition on the team's all-time list in the high jump and triple jump. Ashley Lara has had a standout career as a Warrior and graduates one of the all-time best cross country and track runners in school history. A four time state meet qualifier in cross country, she won the WCAL Championship at 800 meters in 2014, running a personal bests of 2:18.73 at last year's CCS Trials. She has earned recognition on the team's all-time marks in the 400, 1600 and 3000 meters. It was an off day for Lara in the 800 meters who admittedly "felt sluggish and just never felt in it." The senior finishes her season placing 19th in 2:25. Lara finished runner-up in last week's WCAL Championship in a season best 2:19.40. The Warriors season continues Friday at San Jose City College. Girls shot put at 4:25 pm; Girls discus is at 6:25 pm.